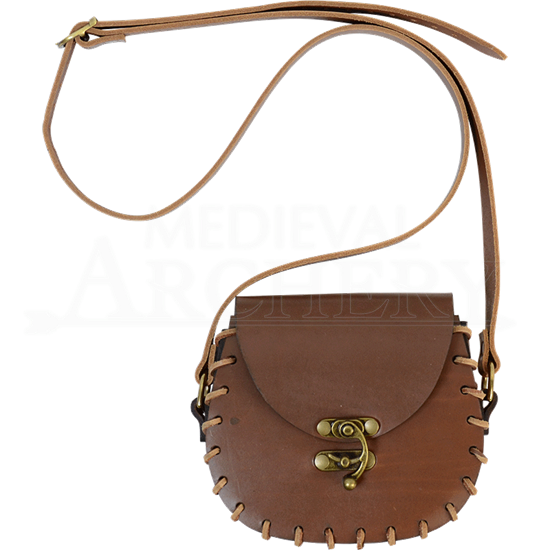 Immerse yourself into the realm of fantasy with the exquisite style of the Leather Pouch with Shoulder Strap which features a pouch large enough to hold various small goods and a matching leather shoulder strap to easily carry it. 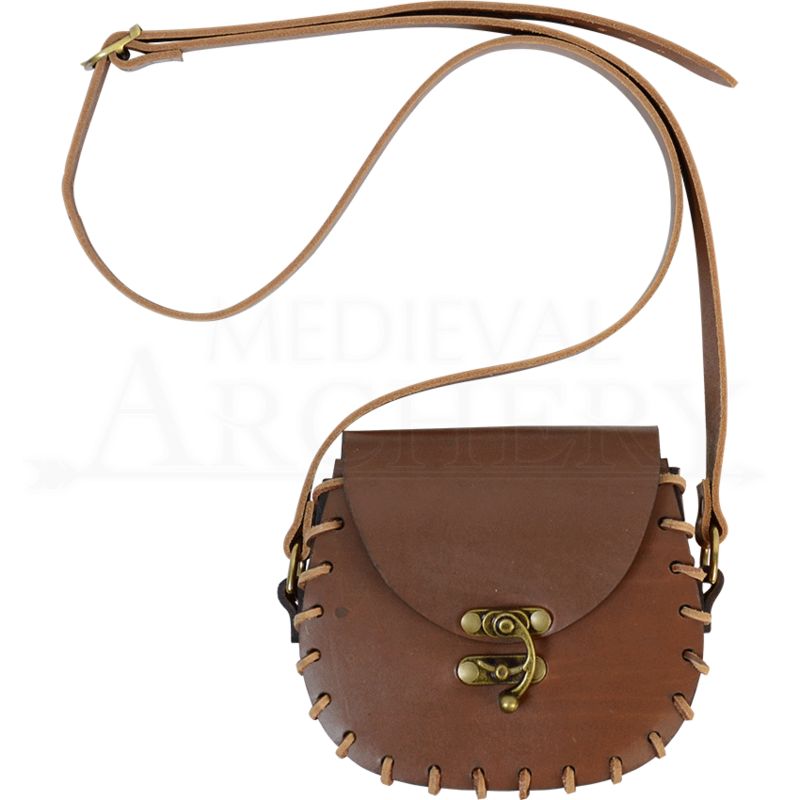 This pouch has a rounded bottom and a flap which covers the top and can be secured by use of an antique brass clasp, allowing for extremely easy access to your goods when needed and safe storage when desired. The leather is available in an assortment of colors, which allows you to accent your individual style or buy pouches of different colors to keep your look fresh. Medium weight 8/9 ounce leather is used for construction to provide extraordinary durability. Securely stow your modern goods out of sight as your embrace your love of fantasy style with the exceptional design of the Leather Pouch with Shoulder Strap.